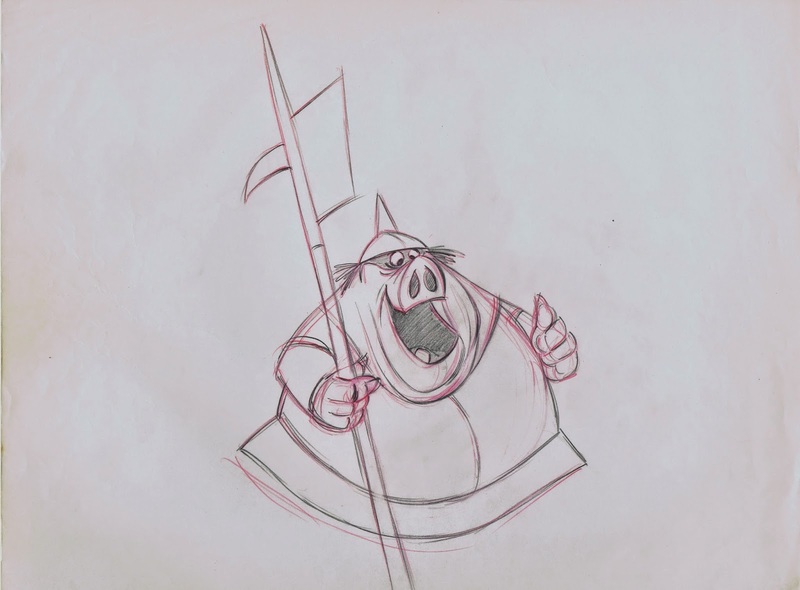 Sleeping Beauty’s Goons have their roots in paintings by Dutch painter Hieronymus Bosch (1450-1516). 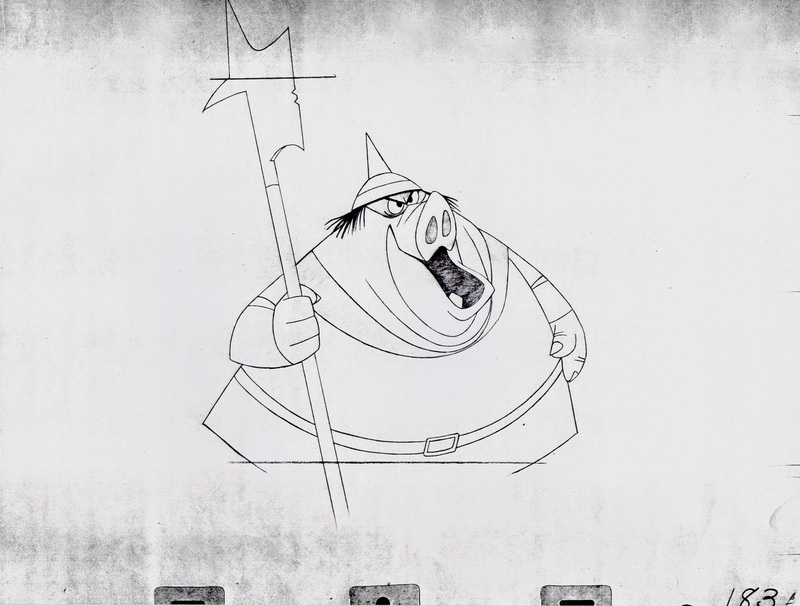 When I was a kid there was nothing scarier than to look at his pictures depicting visions of hell. 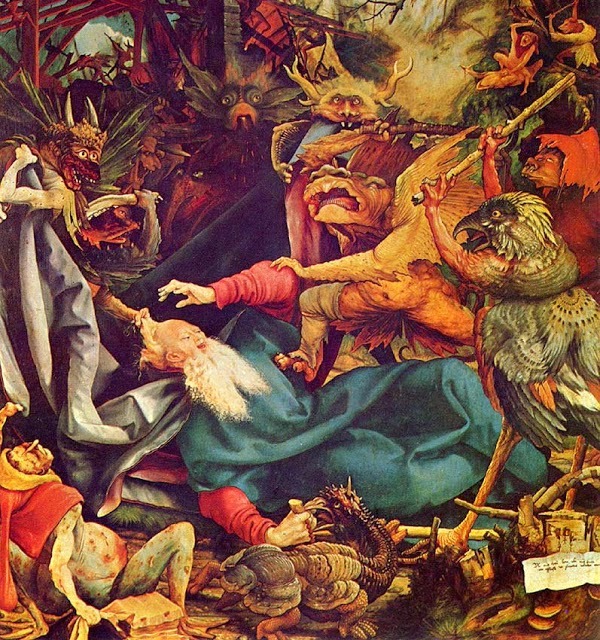 Bosch filled his canvas with evil creatures whose anatomy was comprised of various animal and human parts. 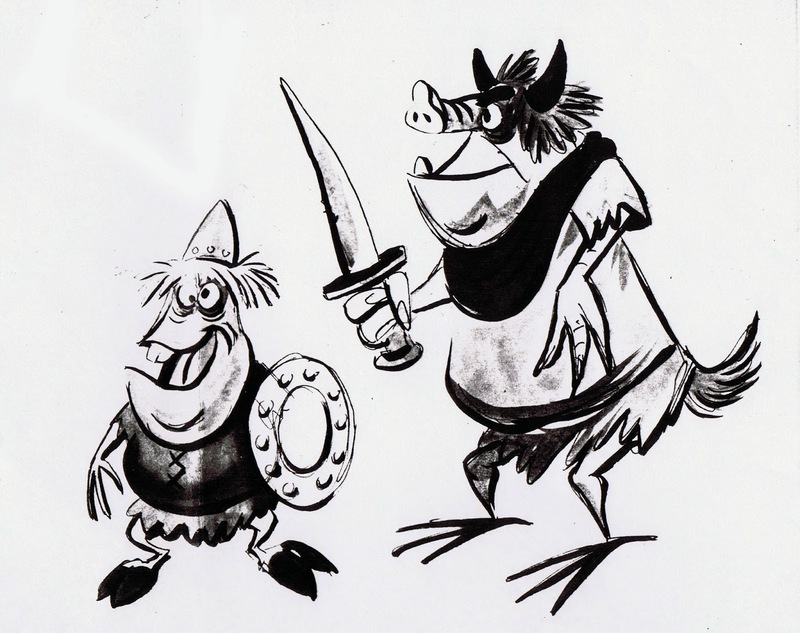 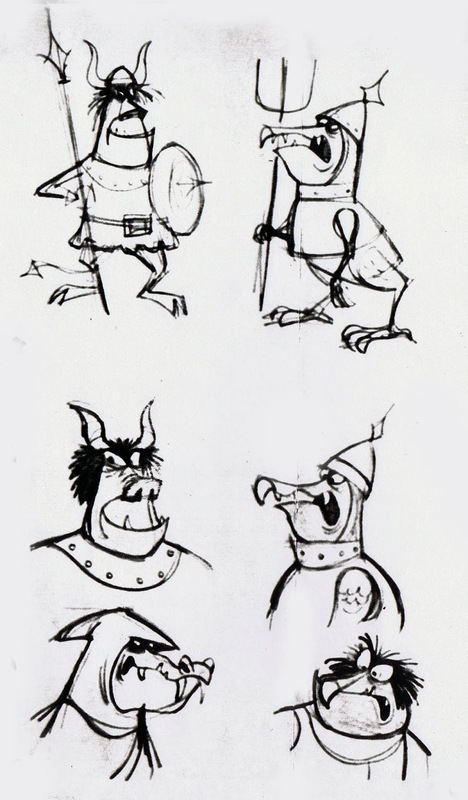 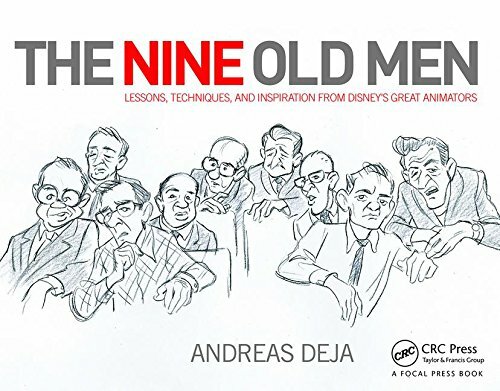 Bill Peet and several other Disney artists studied these gruesome figures and used some visual elements in designing Maleficent’s scary, but not so smart henchmen, the Goons. 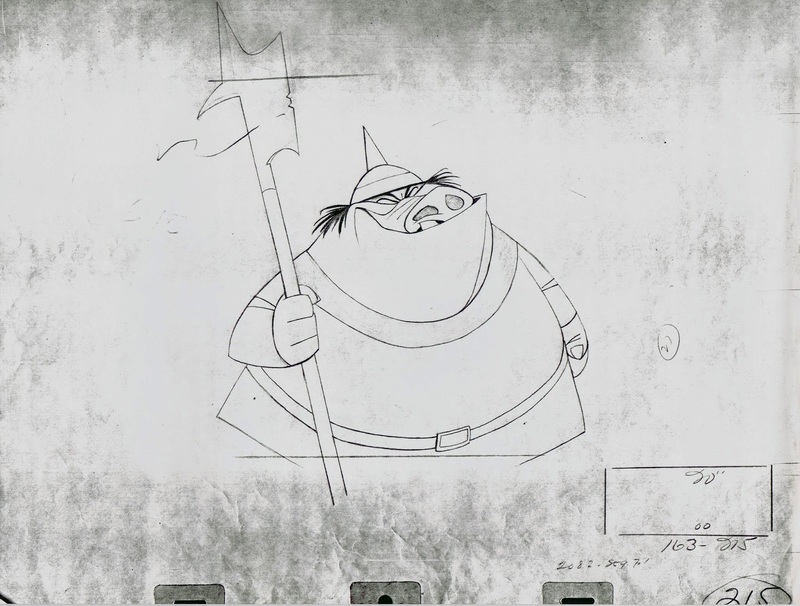 Peet had a great time researching and boarding sequences that included the Goons. 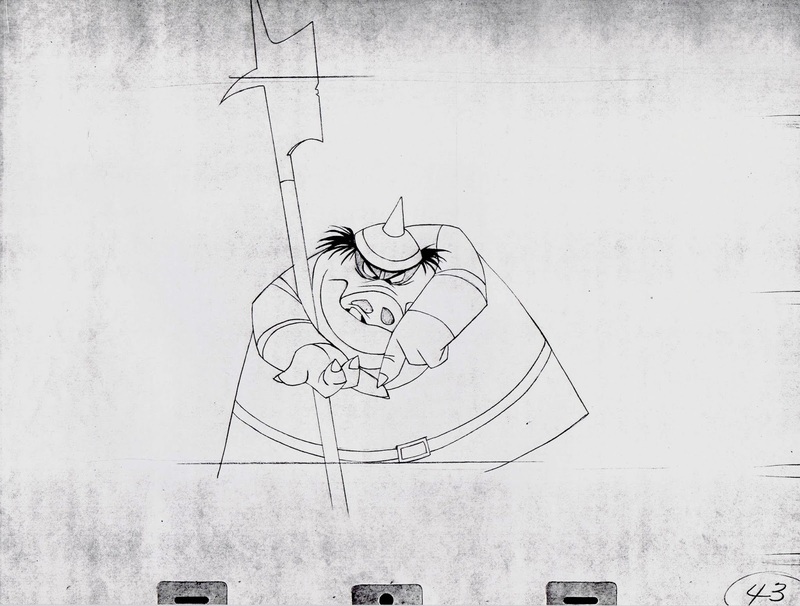 Eventually these Disney versions of Bosch’s monsters were given a comical treatment. 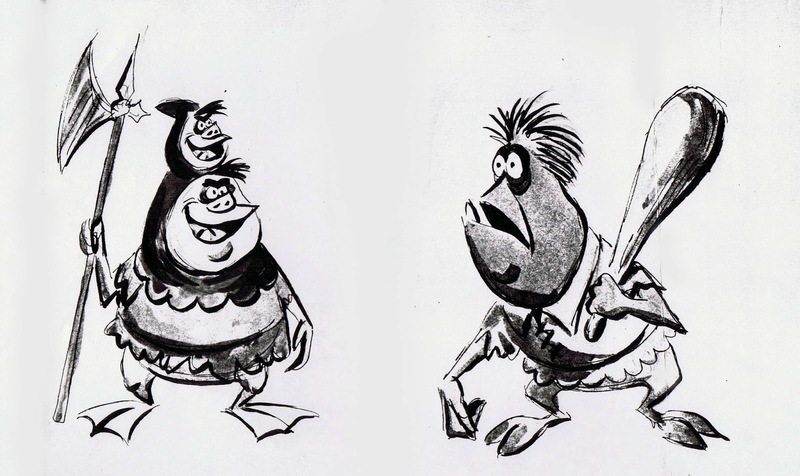 They are still repulsive, but not scary enough to give children nightmares. 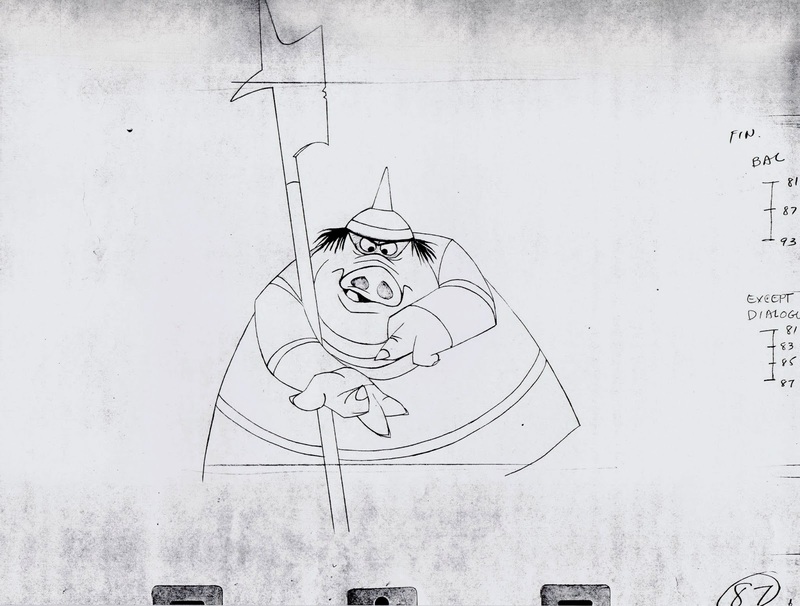 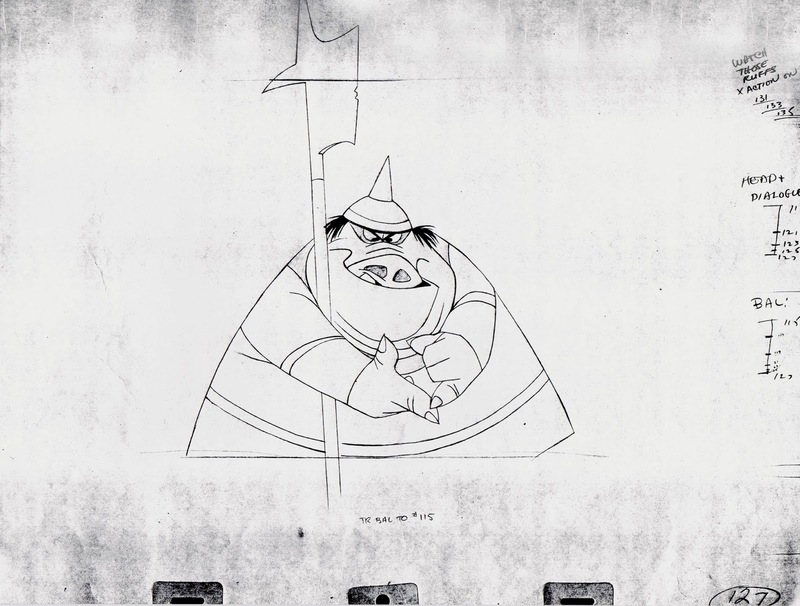 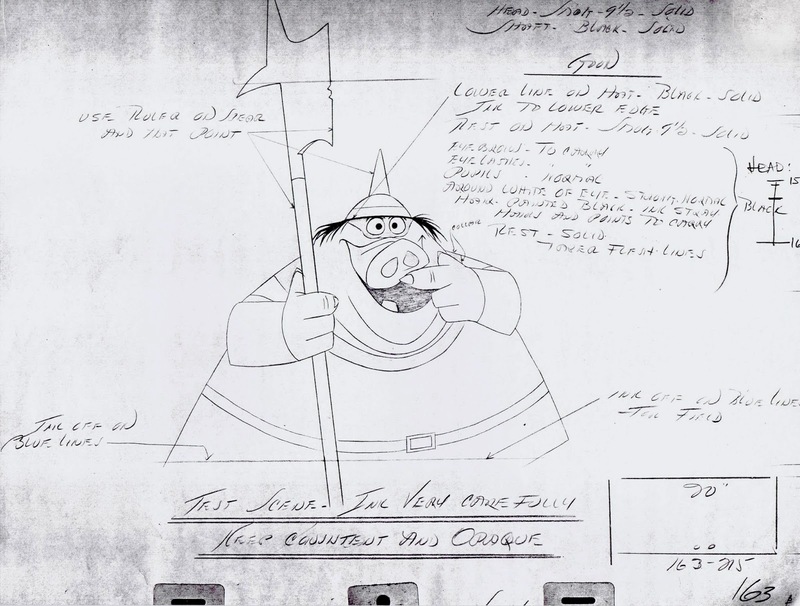 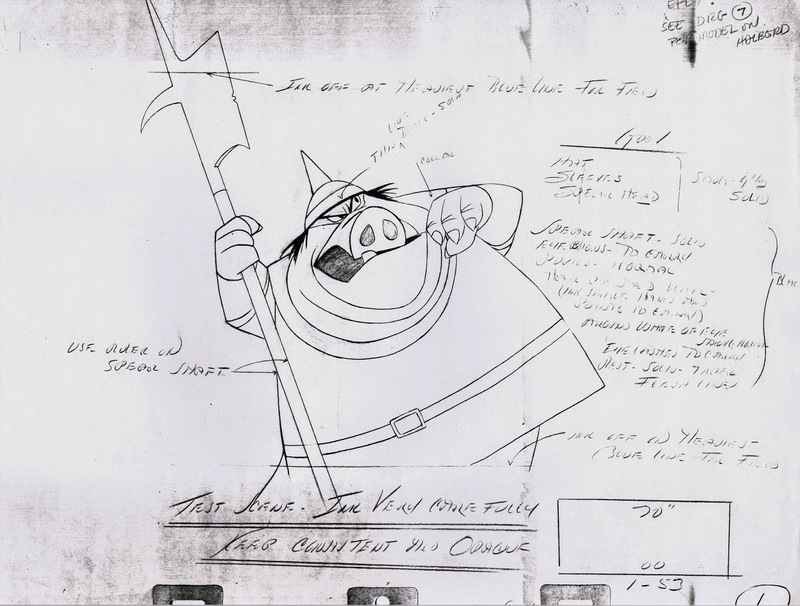 John Lounsbery animated most of the important scenes involving the Goons, including their pig like leader. 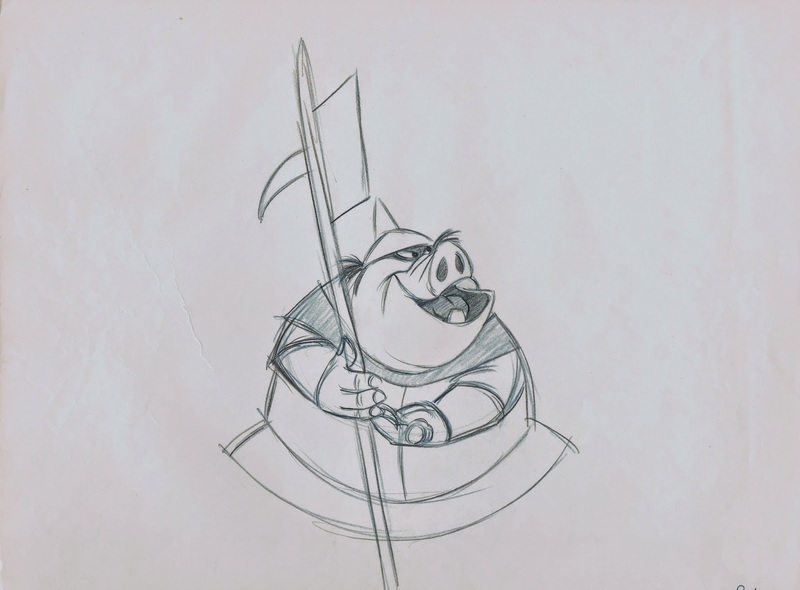 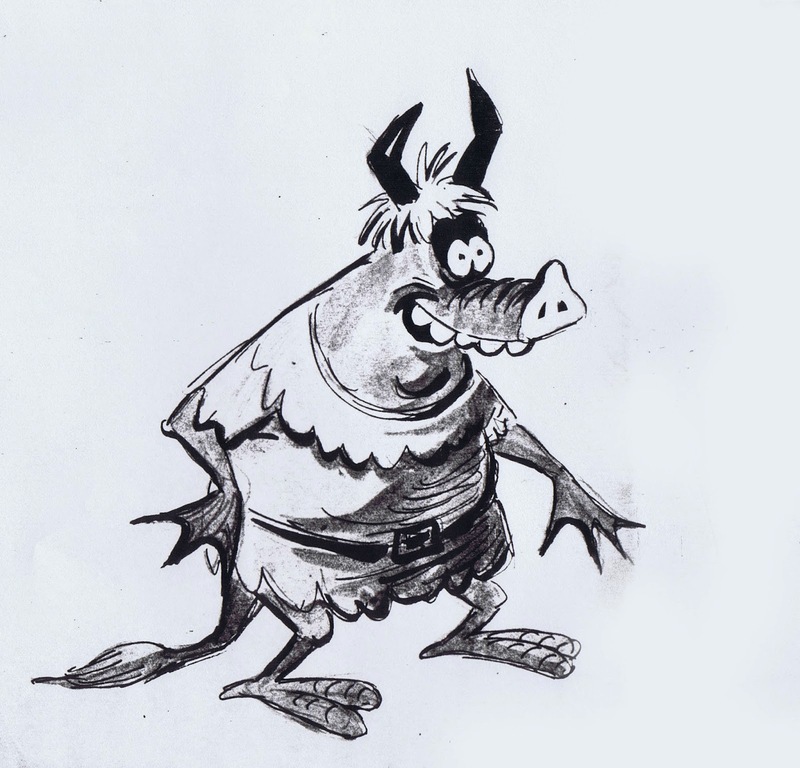 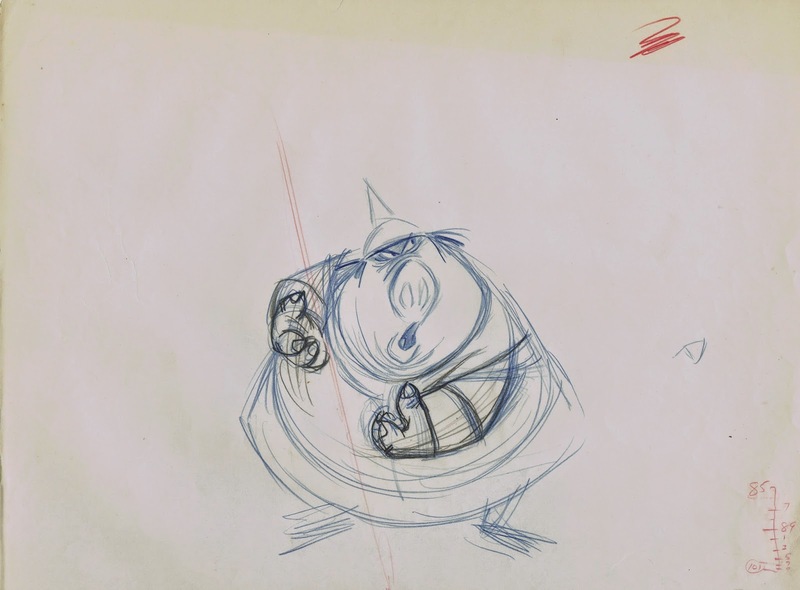 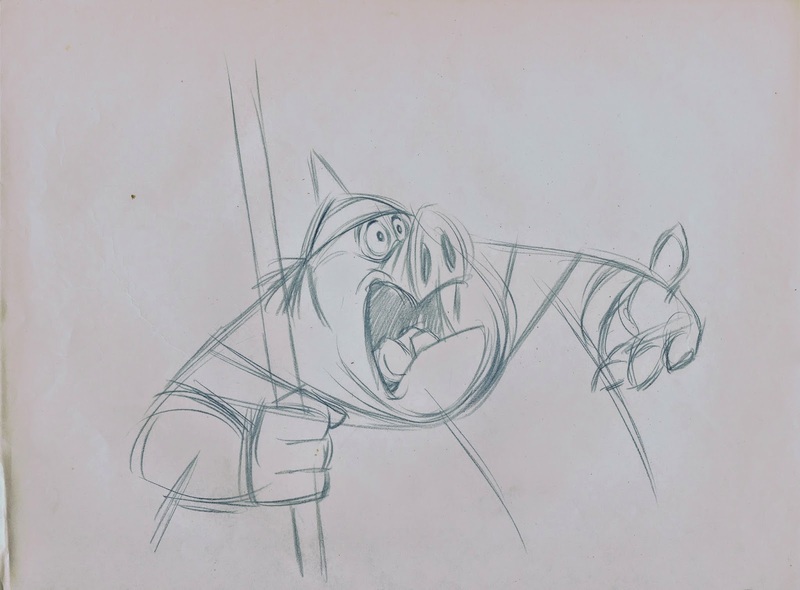 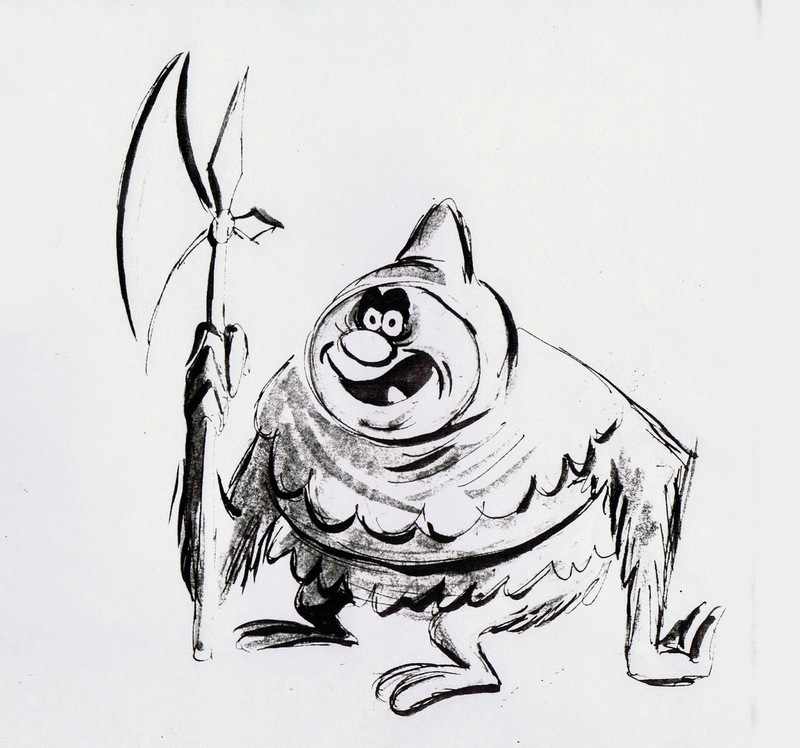 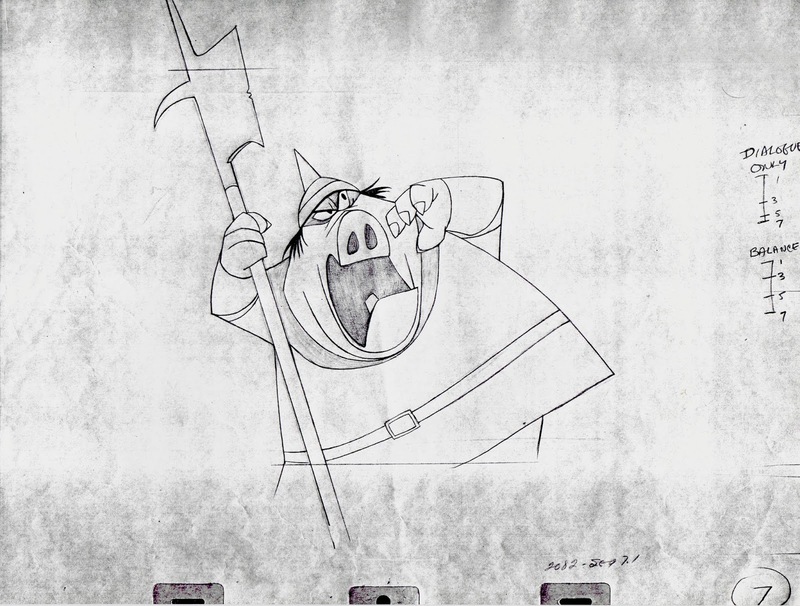 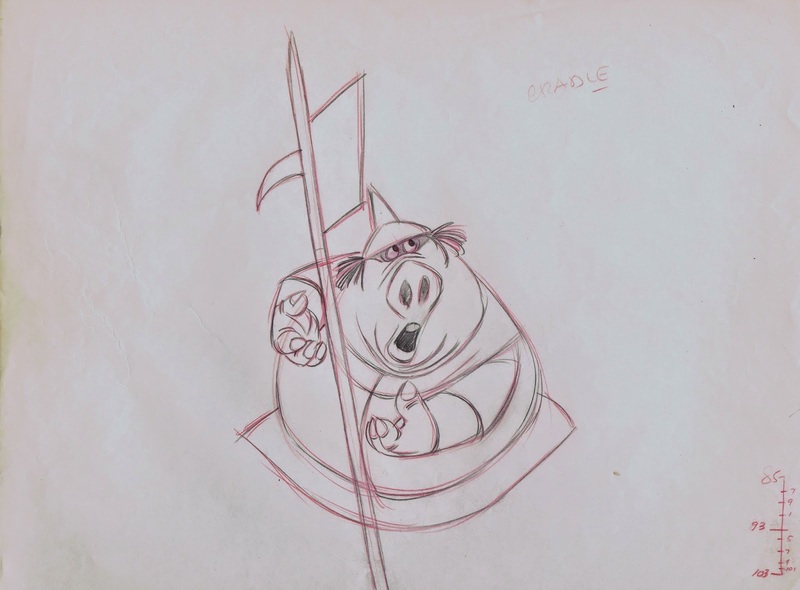 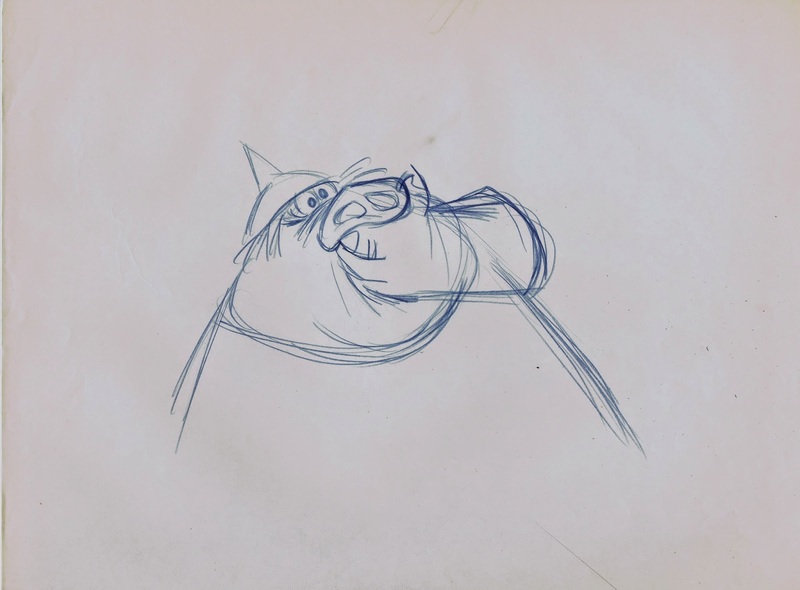 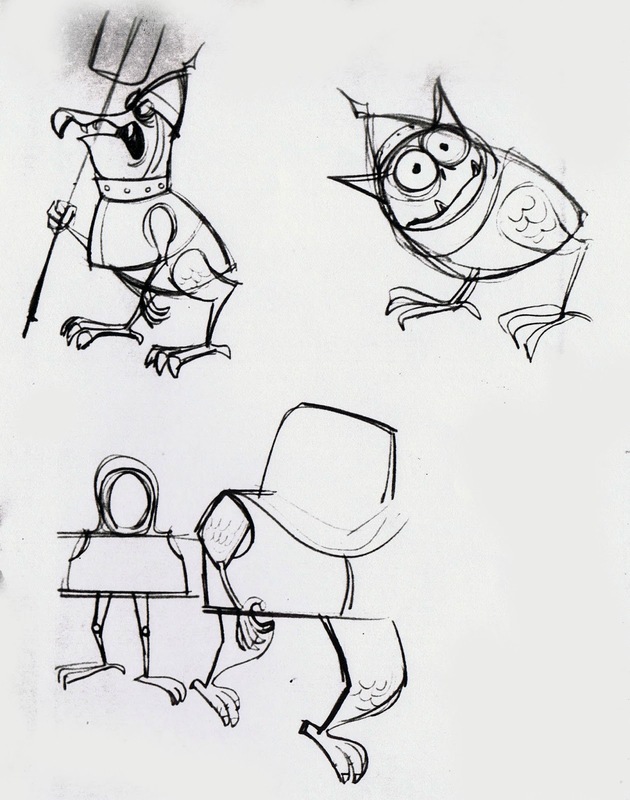 Milt Kahl did this one drawing for John’s scene above, as he tries to strengthen expression and design. 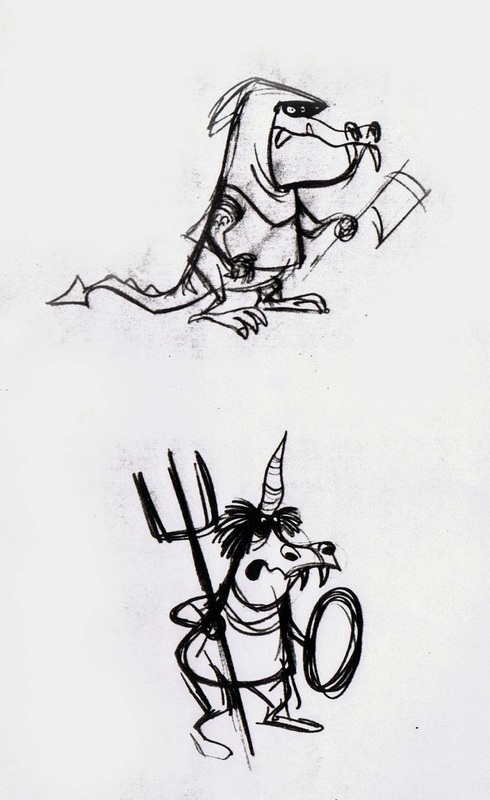 A couple of story sketches for sequence 7.1, scene 14. 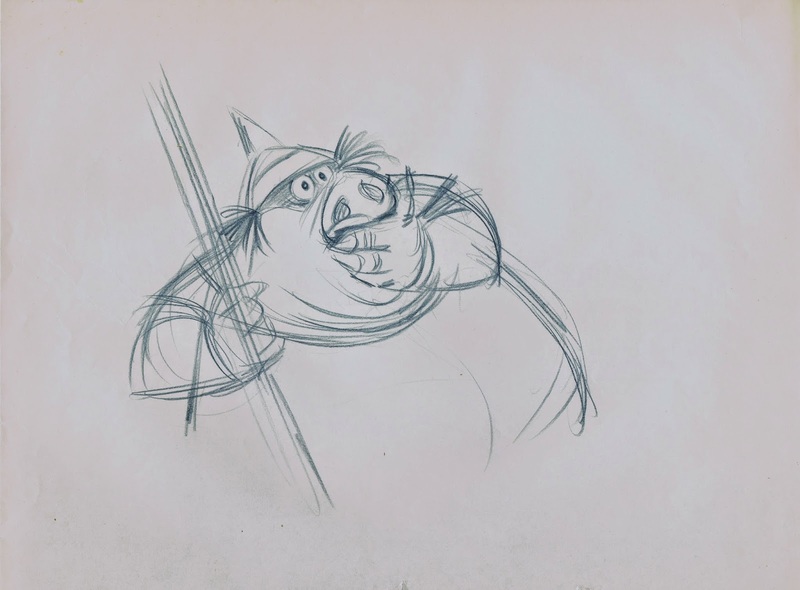 The Goon leader reacts to being put on the spot by Maleficent, who wants to know if the gang has looked for Aurora in the town, the forests and the mountains.